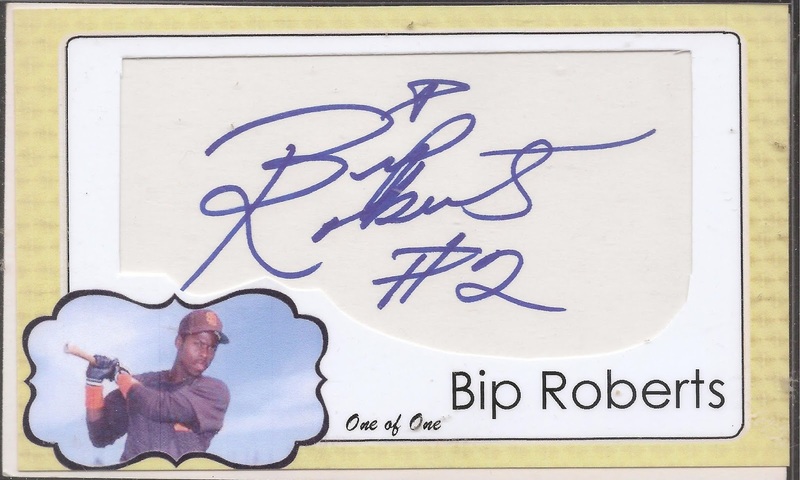 Recently Fuji scored three Bip Roberts signed index cards and asked Gavin over at BaseballcardBreakdown to make them into 1 of 1's. This is the third of the trio. Thanks Fuji and Gavin. 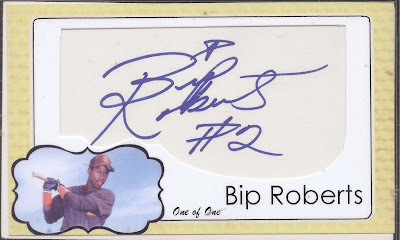 I really like this Bip card..
Glad you liked it! Gavin did a fantastic job with these one of a kind pieces.